The agricultural assessment program allows eligible farmland owners to receive real property assessments based on the value of their land for agricultural production rather than on its development value. Any assessed value which exceeds the equalized agricultural assessment on the land may qualify for a reduced tax assessment. Landowners must apply to their local town assessor annually for an agricultural assessment. Further Information on Agricultural Districts can be found here. Own at least seven acres of land which produces a minimum of $10,000 annually, or own less than seven acres of land which produces a minimum of $50,000 annually, on average, in the preceding two years from the sale of crops, livestock, or livestock products. Have a start-up farm operation in the first year of operation on owned or rented land that meets the minimum acreage and sales thresholds. Own rented land if the land independently satisfies the minimum acreage and sales requirements (see above) or is being used pursuant to a lease agreement of five or more years in conjunction with land which independently qualifies (in other words, if the operation leasing the land meets the acreage and sales requirements). 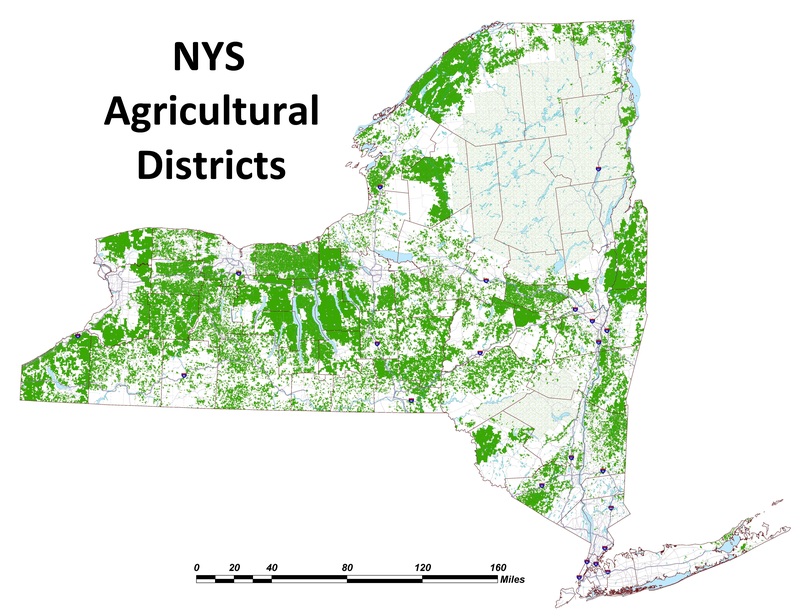 For more detailed information on Ag Value Assessments, please click here to visit the NYS Department of Taxation and Finance for an overview of the rules or contact your local assessor for more detailed information on qualifying for the agricultural assessments. Contact information for local assessors can be found here. NOTE: Owners who convert lands benefiting from an agricultural assessment to non-farm use are liable for conversion payments based on the amount of taxes saved. Owners contemplating a conversion may determine the payment owed by contacting their local assessor or by contacting the Wayne County Real Property Tax Services : here or calling 315-946-5916. If you think you qualify for an agricultural assessment, the first step is to contact your assessor who will determine if you qualify and are in need of a Soil Group Worksheet. The Soil Group Worksheets are available here at the Wayne County Soil and Water Conservation District. The cost is $25 per parcel. Before you call, please have your parcel’s tax id (usually looks something like 71111-00-123456 and is located on your tax bill) and the total acreage of the parcel ready. We will ask you for your name, address, phone number, tax id, and parcel acreage. We work with the county and town offices to accomplish these individual soil assessments through GIS mapping and the USDA’s Wayne County Soil Survey. Once completed, you can either pick up your Soil Group Worksheet or we can send it out to you once payment is made. We accept cash, check and most credit cards. Remember: Applications for Agricultural Assessments are due March 1st each year, so please plan accordingly. Please contact us 315-946-7200 at Wayne County Soil and Water Conservation District if you have any questions.